Axon shrink sleeve applicators provide a great range of production speeds to suit Pack Expo attendees' needs. The SLX platform, designed with ease of operation in mind, features changeover processes made fail-safe through machine self-monitoring and fast, easy-to-make precision machine adjustments. Application speed is automated and calibrated to line rate, allowing the applicator to speed up or slow down as needed without operator intervention. Axon offers the option of incorporating its new patent pending thin film delivery system for film thicknesses down to 25 microns. Thinner films mean material cost savings and more sustainable packaging. The SLX platform meets the PackML programming standard and delivers seamless communication and integration with up-stream and down-stream equipment. This results in faster start up, closely integrated operation with other machines on the line, and expedient troubleshooting. The Lanzara, a servo-controlled, mandrel-style applicator, delivers the highest output at the most sensible price of any applicator in the industry at speeds up to 400 CPM. With the Axon Smart Speed Control feature, Lanzara automatically increases or decreases the sleeving rate, matching upstream and downstream line speed without operator involvement for 'set it and forget it' operation. Smart Speed Control ensures optimum throughput, uptime, and quality. With a new Smart Cutting System, Axon has dramatically improved its film cutting technology, reducing the number of blade changeovers required by 66 percent when compared to the previous generation. In combination with Axon's ThermoFlow shrink tunnel, the EZ-150SL, with its mandrel-style film delivery system easily handles sleeving operations at speeds up to 150 CPM and is ideal for craft beer production environments, or short-run operations for seasonal or specialty events. The ThermoFlow is a compact, shrink sleeve steam tunnel that couples seamlessly with the EZ-150SL. The ThermoFlow features a self-contained 15-PSI low pressure steam generator and condensate collection system, a unique design that eliminates the need to invest in expensive high-pressure boilers and minimizes energy consumption. 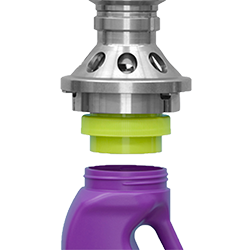 Its mobile design allows the ThermoFlow to be easily be rolled into a corner when not in use. 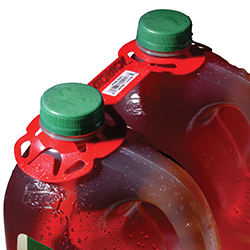 The EZ-100 has become the standard for easy, flexible, and economical shrink sleeve label and tamper evident band applications at low to moderate speeds. 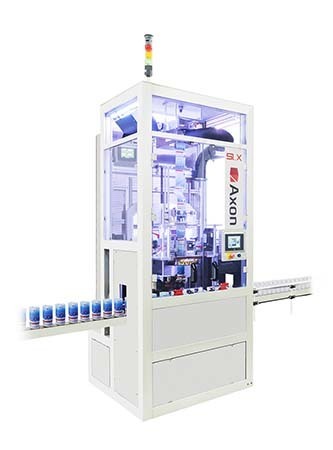 The EZ-100, the flagship of Axon's EZ-Series product line, features an electro-pneumatic film control system that enables rapid changeover to different container sizes without expensive or time-consuming tooling changes. Be sure to stop by the Axon Booth # C-2820 for this one-stop shop experience. For more information about this innovative shrink sleeve, tamper-evident, and stretch-sleeving equipment, call 800-598-8601 and visit www.AxonCorp.com. Axon gives our customers the power to produce the most attractive sleeve labeled products in the market. 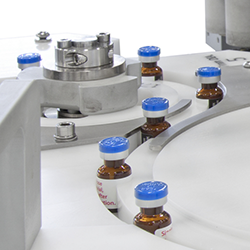 Engineered for reliability, flexibility, and value, Axon labeling equipment includes shrink sleeve applicators, stretch sleeve applicators, and continuous-motion heat shrink tunnels for pharmaceuticals, beverages, processed foods, dairy, health and beauty, household, and chemical products. Axon is a product brand of ProMach, a global leader in packaging line solutions. 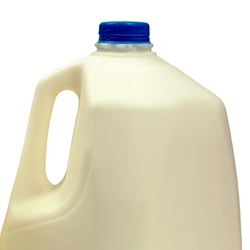 As part of the ProMach Labeling & Coding business line, Axon helps our packaging customers protect and grow the reputation and trust of their consumers. ProMach is performance, and the proof is in every package. Learn more about Axon at www.AxonCorp.com and more about ProMach at ProMachBuilt.com.